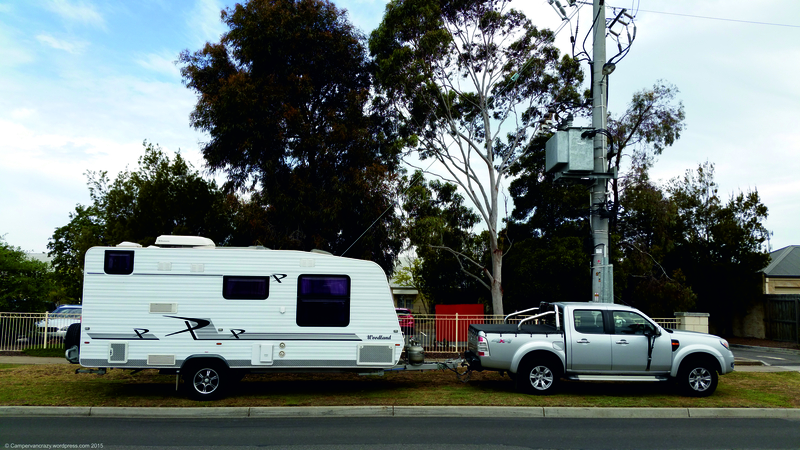 This is our home for our second month in Geelong. Thanks to the family here for letting us use their beautiful caravan! And for enduring the German invasion of their house for the first four weeks of our stay. 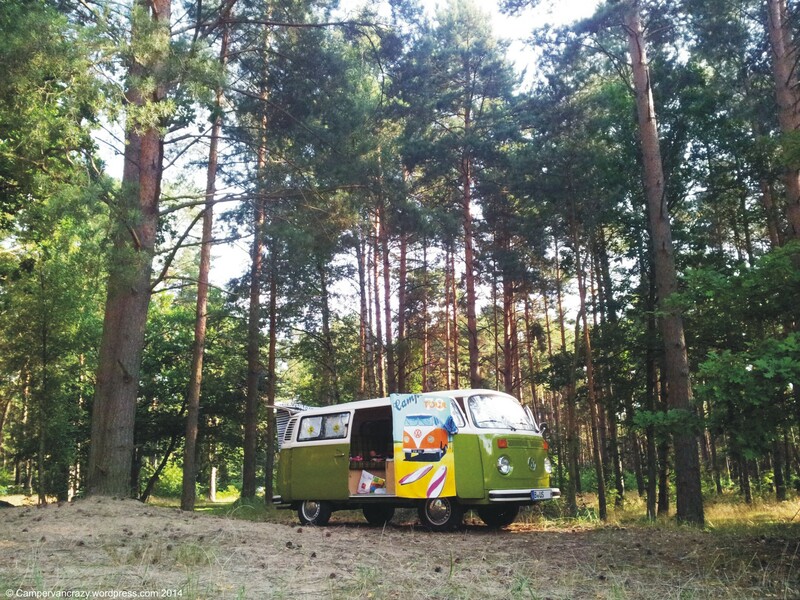 With now two small kids, we decided the kombi alone would be too small for camping with the family. So we bought a very big new bus tent. 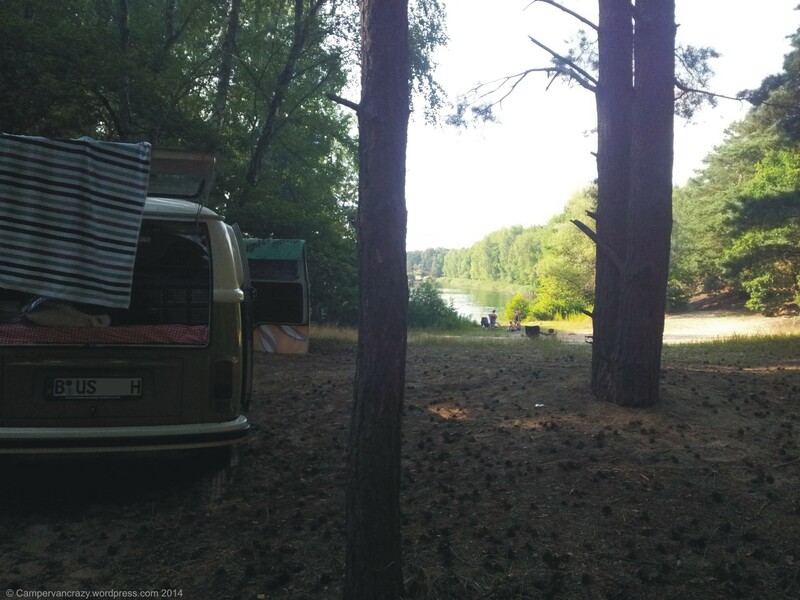 The first camping trip in early August was a one week visit to our favorite local camp site (at Schwielochsee in the Spreewald, about 100 km south east of Berlin). 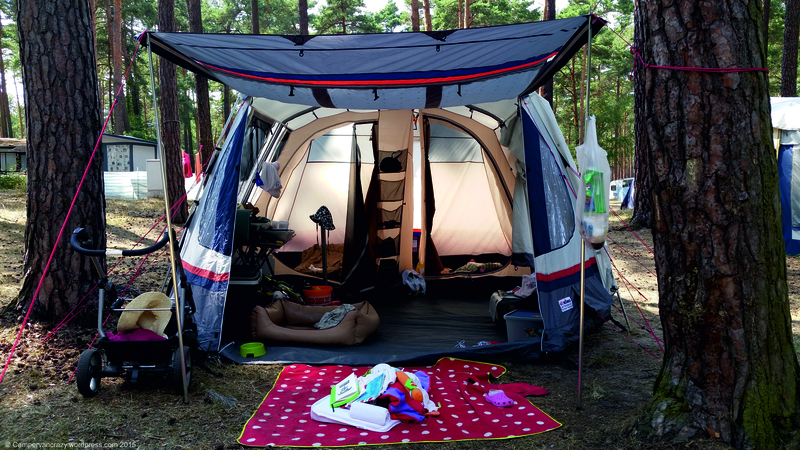 The new tent (Reimo Tour Family Thermo) is huge and comes with two separate sleeping cabins. They fitted perfectly as parent’s and kid’s bedrooms. 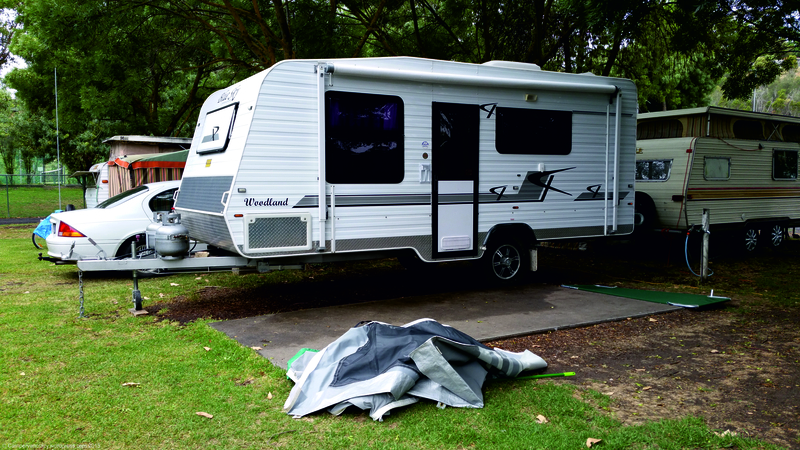 The bus is meant to park on the side so that one can enter the tent via the sliding door. 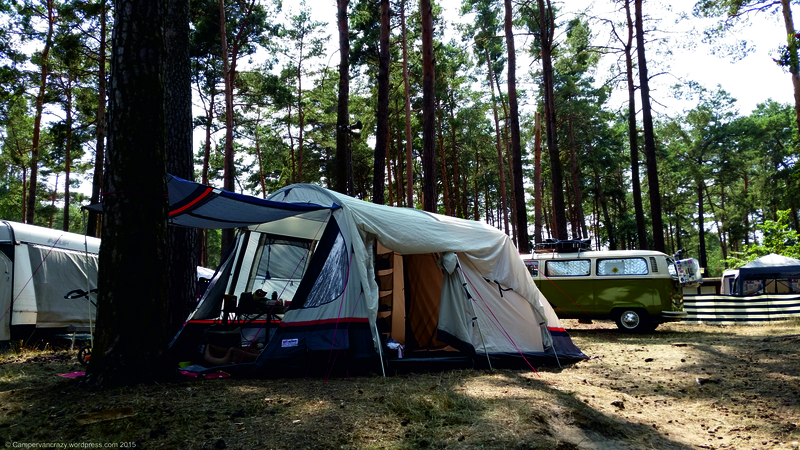 But we used it this time as a stand-alone tent and used the kombi only for transportation. 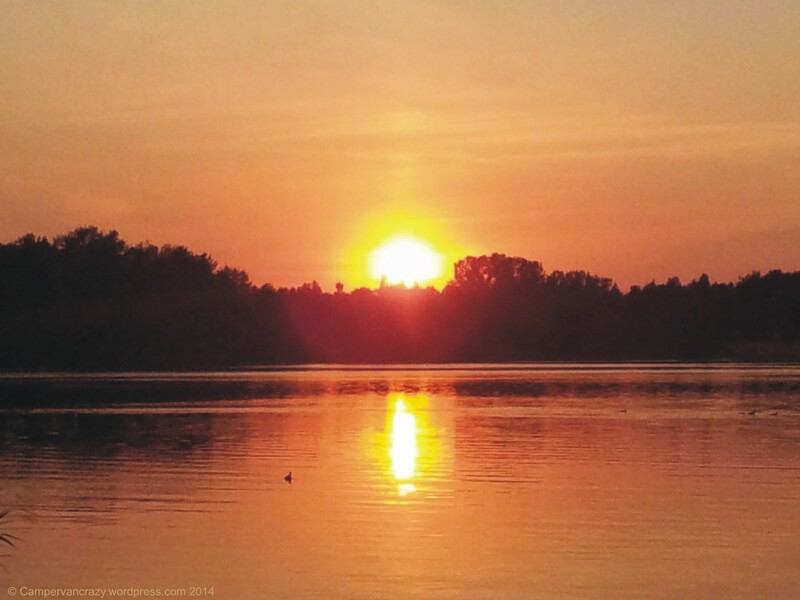 The weather was very hot, with temperatures touching 40°C, but it was a good break from everyday life. We should do this more often! 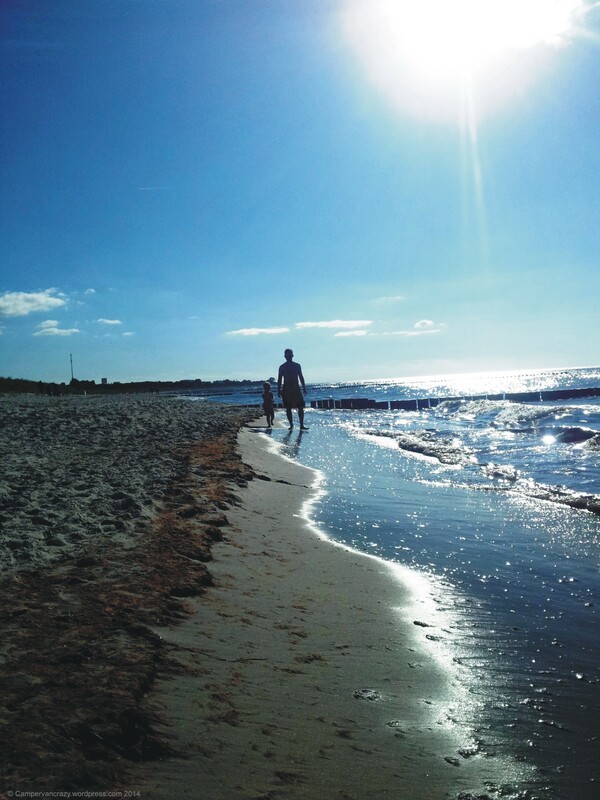 We spent our autumn vacation in early September on a camp site in Born on the Darss, at the Baltic Sea. 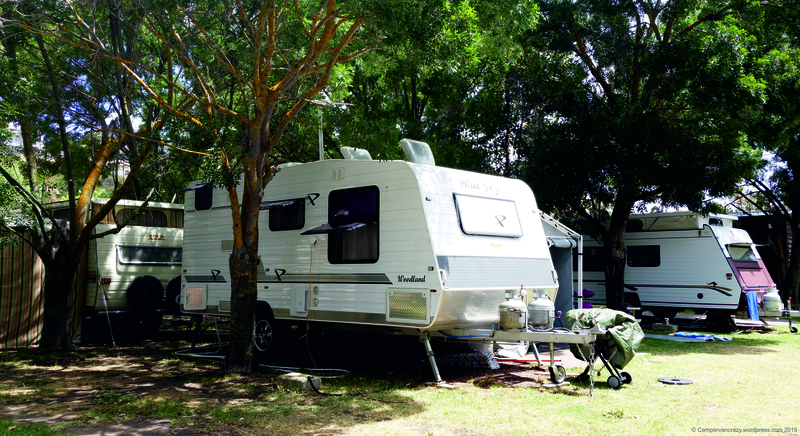 We did not stay in the kombi but booked a mobile home. Just that bit of extra space that makes life with a three-year-old more relaxing. And our wonder-daughter did turn three while we were there! Big changes happening in her life at the moment. Potti training completed, and the dummy fairy took away the last dummies/pacifiers. Our little one all of a sudden turned into a big girl! Pony riding on a local horse farm in Born also unleashed the full-blown horse fascination that young girls seem to develop at some point. One of her current plans for the future is to become a “rider of all horses”. PS: A bit of a worry two days before the end of our holiday. Taiga Lily’s engine stopped running while we cruised through a neighboring village. 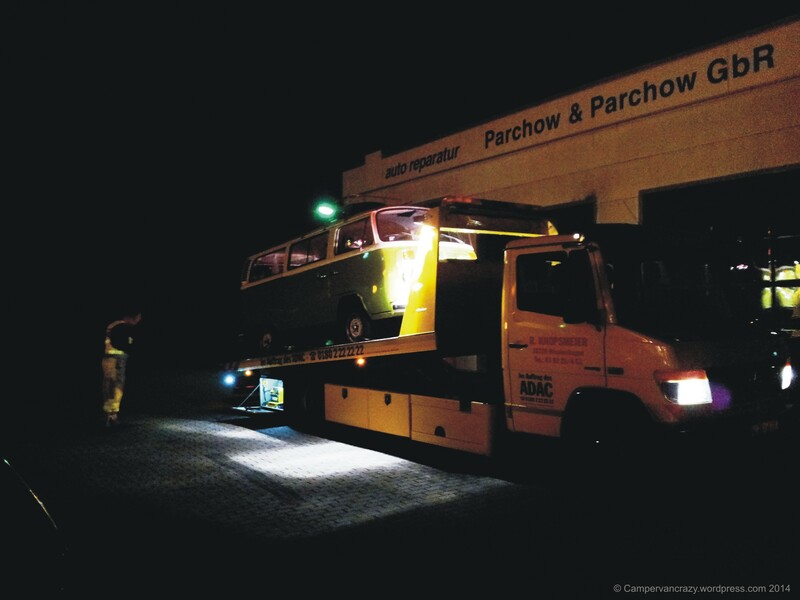 Good that we did not use the car as campervan – a friendly mechanic from the ADAC (the German automobile club) arrived 45 min later and tracked it down to the ignition distributor, but did not get it running again that evening. He towed Taiga Lily to a garage in our village. Turned out the contact-breaker point in the distributor was faulty and had to be replaced. 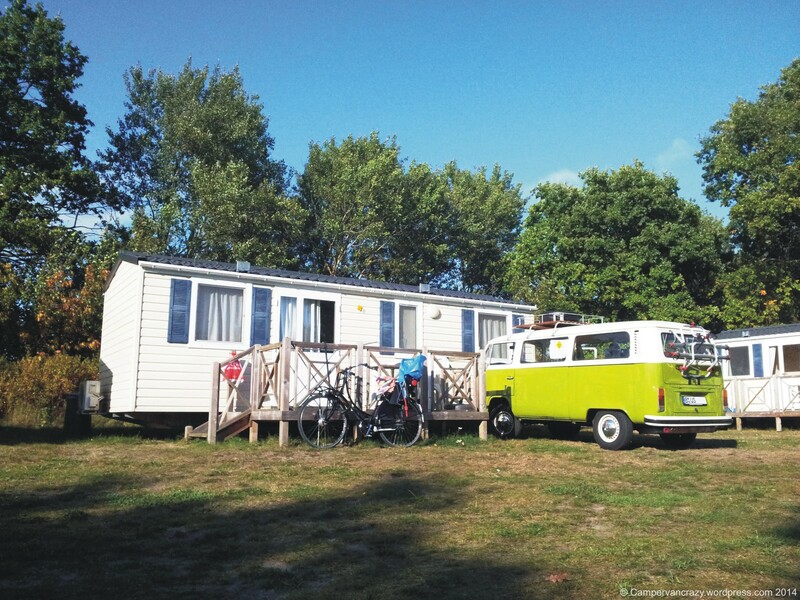 Campsite in Born on the Darss. 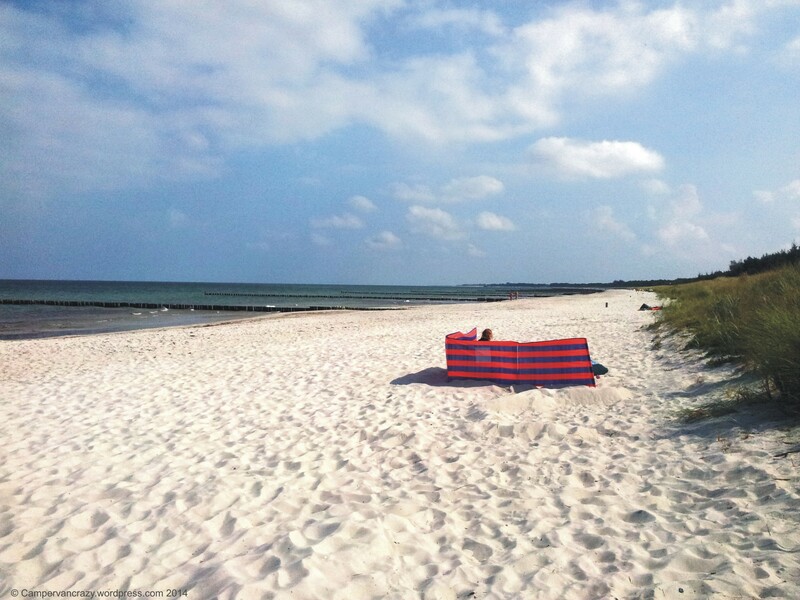 Beach close to Prerow on the Darss. Taiga Lily getting a lift to the local garage. 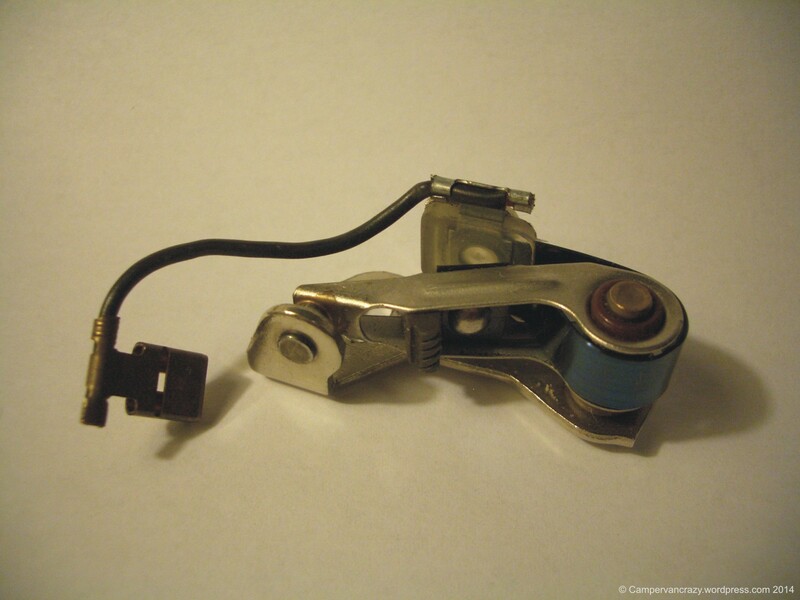 The perpetrator: Contact-breaker point (German Unterbrecherkontakt).